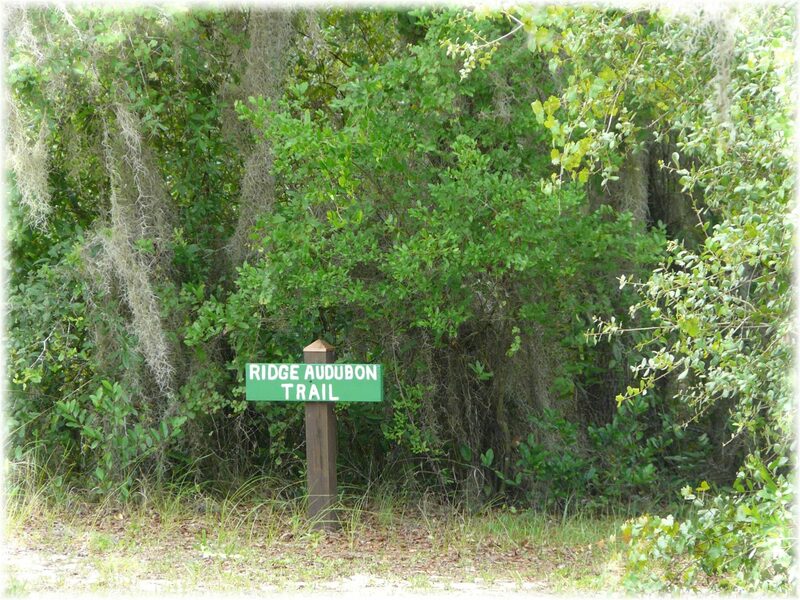 There are two short trails at the Ridge Audubon Center, and there are several longer trails in the area. 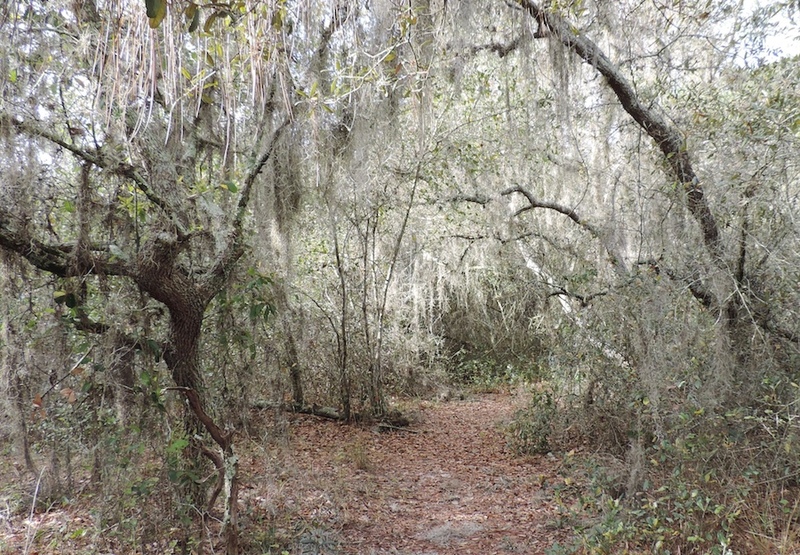 The flat, sandy main trail is about a quarter mile long, and it winds through both wooded and open, scrubby areas. The walker can enjoy a variety of wildflowers, trees and shrubs while listening and looking for birds. The Lake Trail, somewhat shorter, leads to the edge of the Webber International University campus and Crooked Lake. Osprey nests can usually be seen in the trees and atop the light poles at the campus athletic field. At right, the Ridge Audubon Trail winds through live oaks hung with Spanish Moss. 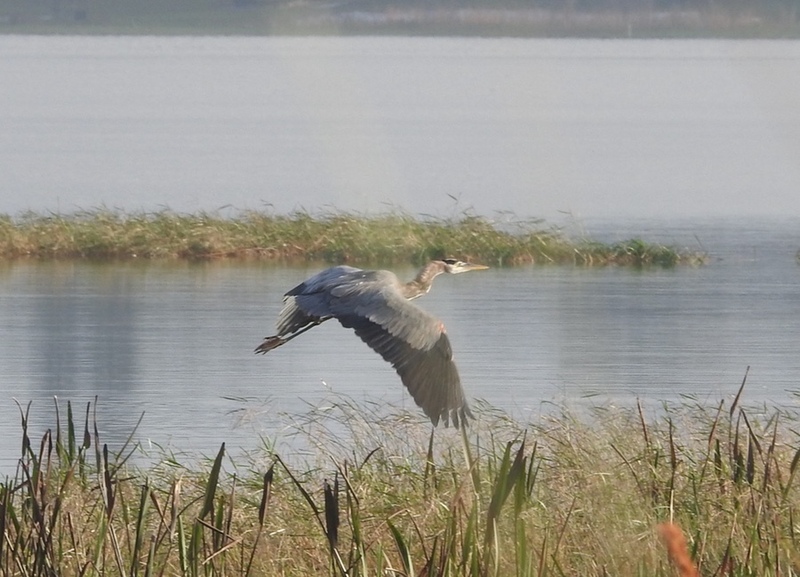 A Great Blue Heron glides over Crooked Lake, seen from the Crooked Lake Prairie Trail. More information. 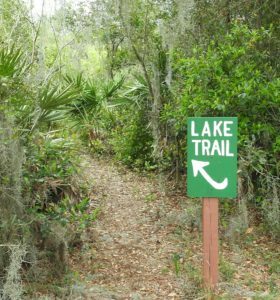 Two trails can be accessed: the short (.4 mile) Lake View Trail, ending at a boardwalk along Crooked Lake; and the 1.6 mile Scrub Trail loop through woods and scrub, with some views of the lake. The trail through Crooked Lake Sandhill winds up and down through turkey oaks and scrub, and has a view of Crooked Lake. More information. 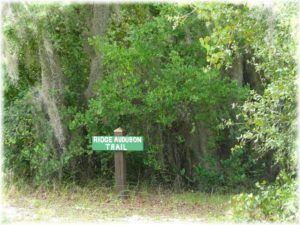 The short (.8 mile) trail through scrub and turkey oaks has elevation changes and a view of Crooked Lake. 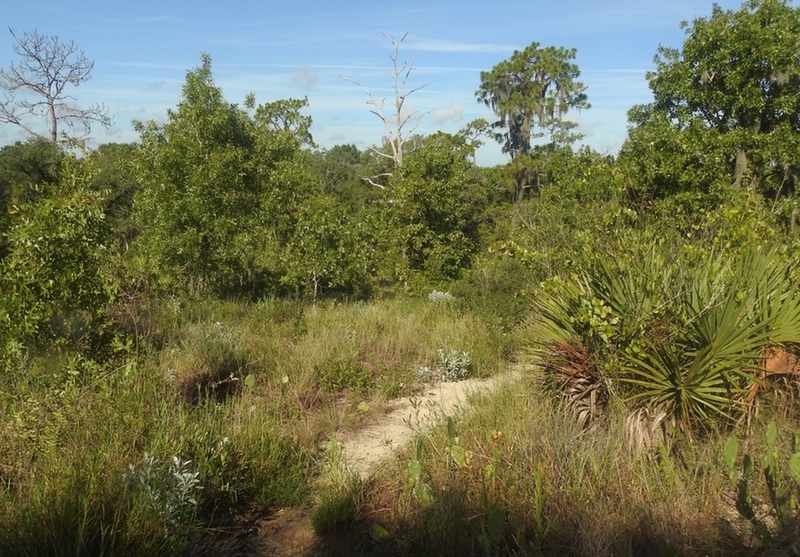 More information on Tiger Creek Preserve can be found here. There are five trails within the 4,869-acre preserve, ranging in distance from a half mile to a 7.2-mile loop.